Dr. Donato completed his bachelor of science in respiratory therapy and health science from LLU, and later completed his master of physical therapy and doctorate of physical therapy degrees. He is a fellowship-trained orthopedic manual physical therapist with emphasis in spine rehabilitation, and is board certified in orthopedics (OCS) and hand therapy (CHT). He has over 26 years of clinical experience and is certified in dry needling (CIDN) by the American Dry Needling Institute (ADNI), and is also certified in strength and conditioning (CSCS) by the National Strength and Conditioning Association (NSCA). He has given numerous lectures at the state and national level. He is the founder and director of DPT Seminars that provides continuing education to healthcare providers nationwide. 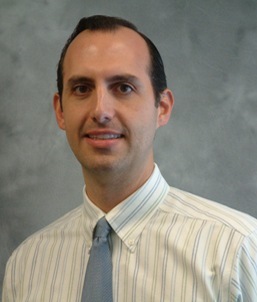 He is the director of Riverside Physical Therapy Orthopedic Residency. He has served as a Reviewer in the Credentialing Services Committee of the American Board of Physical Therapy Residency and Fellowship Education until the end 2016. 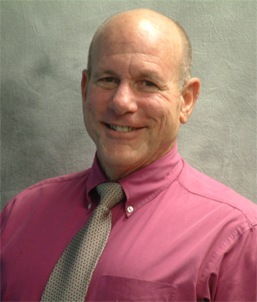 He is an APTA credentialed clinical instructor and is the clinical coordinator for clinical education at Riverside Physical Therapy and has clinical affiliations with Pacific University, Loma Linda University, University of Southern California, Simmons College, Sacred Heart University, and Idaho State University. He is also the founder and director of Priority Fitness, a personalized fitness center that has teamed up with Riverside Physical Therapy to provide a continuum of uninterrupted customized fitness/wellness programs to meet all of our clients' needs. Dr. Godges serves USC in a part-time position where his primary focus is to support clinical residency and fellowship programs and the professional development of clinical instructors through high quality continuing education. He coordinates the efforts of USC to provide the didactic instruction to support the expanding number of clinical residency and fellowship programs across the nation as well as to meet the needs of physical therapist seeking cutting edge post-graduate clinical education. This instruction is provided in a classroom and lab facility near LAX that is designated solely to provide professional development for therapists using both a weekend format for therapists within driving distance as well as modular, consecutive day formats, for therapists traveling to Los Angeles for a block of concentrated training. USC also co-sponsors the didactic component orthopaedic physical therapy residency education and continuing education seminars, which he teaches, in Virginia and Maryland each year. In addition to his activities with USC, he is the ICF-based Clinical Practice Guidelines Coordinator for the Orthopaedic Section of the APTA, Inc. He is also a member of the Board of Directors for the Journal of Orthopaedic and Sports Physical Therapy. In addition, he is the Coordinator of Clinical Education and Practice for OptimisCorp, a company that provides software and practice management support for outpatient orthopaedic and sports physical therapy private practices. Previously, he was the coordinator of the physical therapy clinical residency and fellowship programs for Kaiser Permanente in Southern California. He has also served terms on the Orthopaedic Specialty Council of the American Board of Physical Therapy Specialties, on the APTA s Committee on Clinical Residency and Fellowship Credentialing, and on the Orthopaedic Section's Board of Directors. He was among the first group of 26 clinical specialists in orthopaedic physical therapy, originally certified in 1989. Dr. Kirages is instructor of clinical physical therapy at USC's Division of Biokinesiology and Physical Therapy Department. He has a hybrid schedule of both clinical practice and academic teaching. It is within the private practice of USC's Division of Biokinesiology and Physical Therapy Department, USC Physical Therapy Associates, where he attends to a diversified patient load, addressing orthopedic and pelvic health disorders. While in the classroom he serves as course coordinator for Basics of Patient Management and as a primary instructor for Clinical Management of Musculoskeletal Dysfunction within the first year of the DPT program. He is a board certified orthopaedic clinical specialist as well as a Fellow of the American Academy of Orthopaedic Manual Physical Therapists. He is significantly involved with advanced professional education through his teaching and clinical mentorship within the USC residency in orthopedic physical therapy and the Kaiser Permanente Los Angeles orthopaedic fellowship in spine. He may also be found researching topics associated with pelvic health, teaching continuing education courses or giving lectures at a variety of academic institutions or healthcare facilities nationally and internationally. Dr. Donato graduated with baccalaureate degrees in clinical laboratory science and physical therapy from LLU. Later, he completed his master's in orthopedic manual therapy (MOMT) program from the Ola Grimsby Institute in San Diego, and his doctor of chiropractic degree (DC) from Palmer College of Chiropractic. 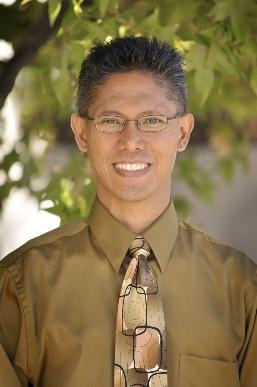 He further completed his doctorate degree in physical therapy (DPT) from Creighton University. He was previously board certified in orthopedics (OCS) and strength and conditioning (CSCS). He has been in clinical practice for over 27 years. He is currently an adjunct faculty for DPT Seminars, as well as a guest faculty for Riverside Physical Therapy Orthopedic Residency. For more details and information, please call Dr. Donato at: (541) 955-0940.